So I move on to the other novel by a hebrew writer ,Unlike Aharon Applefeld I have read a couple of Amos Oz’s books and had one on the tbr pile so was pleased when this was on the list to read .Amos Oz is probably the best known modern hebrew writer his best known book being his 2003 work a tale of love and Darkness ,a novel from his own experiences that has been translated in 23 plus languages including Arabic .He is a professor of literature and he has also been a journalist and a vocal speaker in political matters and a supporter of the two state solution to Israelis current problems .He has won numerous awards over the last thirty years most notable the Goethe prize in Germany . So scenes from village life ,when I read the blurb about this book I wished I d followed through my half heart village challenge as it turns out this book would have been perfect for that challenge as it is set in a village (fictional it seems ,but I feel Oz knows places like this ) but has the feel of any village even thou like a lot of books set in village like this is about so much more .We meet an Old man who has lived in the village since it was formed after Israeli state was formed and is our guide to the village he has lived in and seen change .We find out about this village in a series of eight chapters ,which you could say are almost little stories, but all narrated by the old man so from his daughter Rachel who is the local school teacher ,this is the longest story in the collection they argue and when the old man say ,there is digging but this isn’t happening and is just in the old mans head and almost become a metaphor for the old mans past he was a politician and the Rachel’s student a young arab man hears it as well as the old man hears the sound . Maybe this is a sign of the shift thoughts in some in Israeli society like Oz’s himself .Other stories involve visiting singing neighbours ,the after math of the Holocaust ,a lonely boy falls for the librarian an older women ,then a rather quirky final chapter /story that I ll leave you too find . They are digging ,I tell you !It starts an hour or two after midnight ,all sorts of tapping and scraping sounds .You must be sleeping the sleep of the just if you don’t hear it .You always were a heavy sleeper .What are they digging for ,in cellar or under the foundations ? Oil ? Gold? buried treasure ? the old man wonder who’s digging as his daughter denies it is happening . 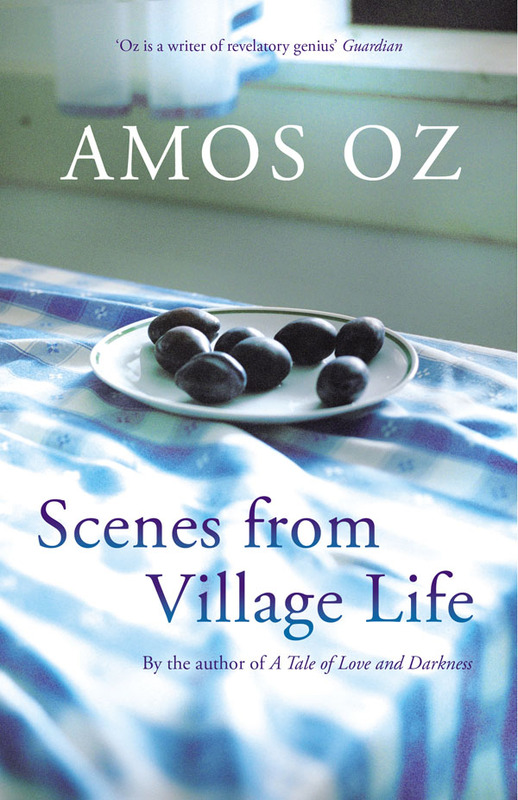 Have you read Amos Oz ? loved this book & was definitely one of my favourites on the IFFP longlist. wow. this sounds like a good read. Very interesting. how an old man would look at a village over the years compared to that of a young person or someone in a different family with different experiences. Thank-you for your review. very much enjoyed it. Agree here, a lovely little book and especially nice in the context of this rather grim and heavy IFFP longlist. I have a couple of Oz’s books at home but not this one, although it has been on my radar for some time. Sounds right up my street! Thanks for the review, Stu. I haven’t read Oz but would like to. Sounds like a great book, thanks for the review. I’ve seen this at my library and have been tempted to check it out a few times. I think I will now! I am very fond of the ‘vignette’ style of novel so that appeals to me as does the theme of societal change. Thanks for bringing another great book to my attention! Wonderful review, Stu! I haven’t read any of Amos Oz’s books, but have read interviews by him and admire him. Glad to know that you liked this book so much. I love the fact that it is a set of eight inter-related stories which are loosely connected to each other and told by the same narrator. I love books which are structured like this. One of my favourite books which was structured like this is Ray Bradbury’s ‘Dandelion Wine’. Thanks for this wonderful review!